Prince Okoroh entered his junior season as captain with the pressure of having to lead a team featuring nine freshmen. A self-proclaimed nerd, Prince Okoroh is surely the most popular chemical engineering major at Howard University. He walks the hilltop campus in Northwest Washington with a bright smile, unflappable confidence and charisma that attracts a following. 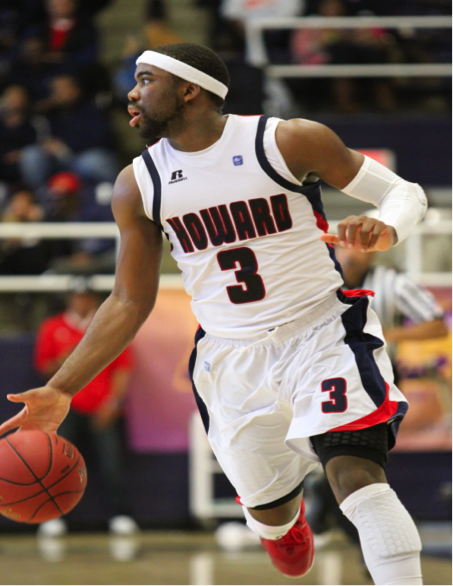 “When you walk around campus with him, it’s like walking around with Obama,” said Kevin Nickelberry, head coach of men’s basketball at Howard, where Okoroh is the team’s captain — a versatile forward who wears the number three and sports a white headband. The 6-foot-5-inch, 220-pound junior was blessed with natural athletic ability. His mother is a former Olympian who ran track and played basketball, soccer and handball for Nigeria. Okoroh did not begin playing basketball until ninth grade. Prior to that, he played football for his local Boys and Girls Club. His mother forced him to stop playing football after he suffered a hard hit that left the imprint of a facemask on his hip. The former wide receiver progressed quickly as a basketball player and became a star his senior year at Eleanor Roosevelt High School in Greenbelt, Md. “By my senior year, me and my coach knew I was going Division I for basketball,” Okoroh said. “It just depended on where.” In his final year at Roosevelt, Okoroh averaged 18 points and nine rebounds and led his team deep into the playoffs. After an impressive high school career to accompany a 4.14 GPA, Okoroh drew offers from a variety of colleges including, Brown, Columbia, Cornell, Princeton, Lehigh, American and Fordham. Okoroh decided to come to Howard after Nickelberry, then in his first year as coach, sold him on the program he was building. The Maryland native got his opportunity to play for Howard during his freshman year and started nearly every game, averaging 8.7 points and 3.5 rebounds. “My freshman year I had this confidence about myself, and it took my game along with it,” Okoroh said. In his second season as a Bison, Okoroh faced a sophomore slump, as his points per game decreased to 6.9 and he struggled to find a rhythm within the Bison offense. Part of Okoroh’s struggles can be attributed to teams around the conference becoming familiar with his strengths and weaknesses. “Teams come into the year knowing what you were good at, because they’ve seen a year of your actual film, so it’s not catching them off guard anymore,” Okoroh said. Prince Okoroh’s father, Solomon, was killed during a robbery attempt while driving his cab in June 2013. During the offseason before his junior year, Okoroh encountered a challenge much greater than facing rival teams in the Mid-Eastern Athletic Conference. Early on the morning of June 4, 2013, Prince’s father, Solomon Okoroh, was shot and killed in the Adams Morgan neighborhood of Washington. 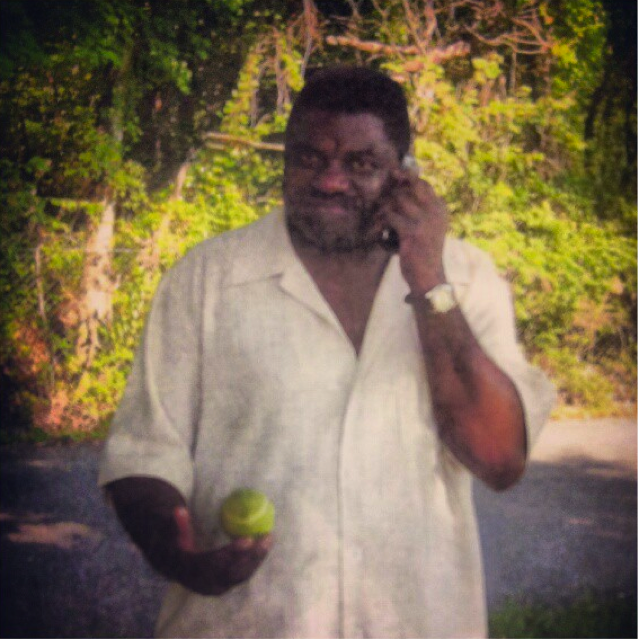 Solomon Okoroh had been a cab driver for D.C.’s Classic Cab Co. for 15 years. While on duty around 3 a.m., armed robbers shot him once in each shoulder. Being one of the most prominent athletes on the university’s campus, Okoroh received kind words from several people within the Howard community. Okoroh is the eldest of five siblings and was forced to take on more family responsibilities after the death of his father. “The hardest part was family-wise, because even though I have my own responsibilities, I had to be there for my family also and make sure that they were OK,” Okoroh said. Since the tragedy, coaches and teammates alike have noticed Okoroh become more focused and mature. Throughout the summer, he grieved over his father’s death while being enrolled in classes and enduring a demanding training program. With challenging classes (calculus and organic chemistry) and training, Okoroh’s days would start at 6 a.m. and end at midnight. “Basically I was working out all day,” Okoroh said. “I would work out, then go to class, work out again, go to my afternoon class, go eat and then work out again at night.” He said he approached each day with the knowledge that he would be asked to lead a team of freshmen from day one. Prince Okoroh garners praise on and off the court for his leadership and ability. Okoroh has answered the call, averaging a career-high 14 points and five rebounds through 26 games, as well as leading the team in words and action. Okoroh has vastly improved his game since entering Howard as a freshman. He has consistently shown the ability to make mid-range jump shots, which has made him both an interior and perimeter threat for opposing teams. Most importantly, Nickelberry is impressed with the way he has developed as a leader. 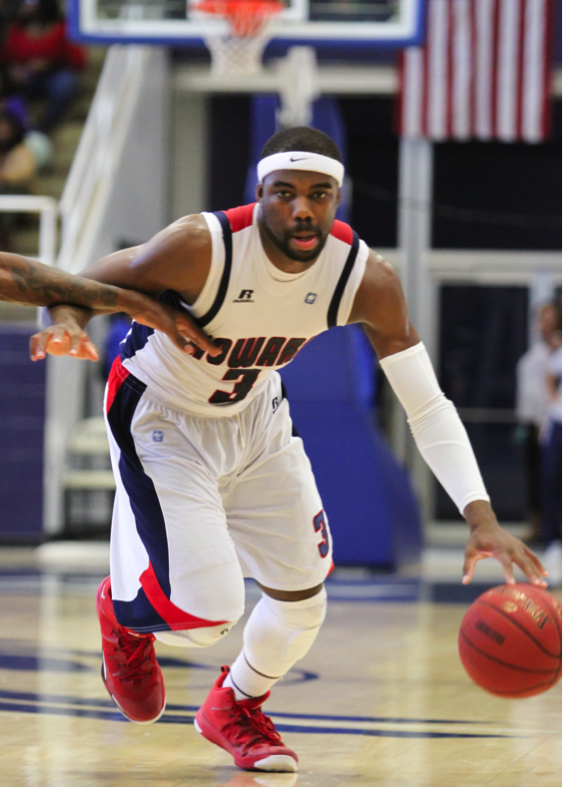 After his time at Howard is over, Okoroh would like to pursue a professional basketball career and eventually become a chemical engineer. Jourdan Henry covers sports for 101Magazine.net and The Hilltop, the campus newspaper at Howard University.